Want to know a little more about Brass band Contesting? Contesting has been a traditional part of brass banding for pretty well as long as brass bands have been in existence! Not all bands take part in contests, but the great proportion of them do. In the adult banding world, there are many different contests spread around the country, but perhaps the most well-known is the National contest, A bit like football, bands are graded into various sections, and eliminator heats for each section are held during the year. The Championship Section final takes place in the Royal Albert Hall, as depicted in that wonderful film, "Brassed Off". Most, but not all, contests feature a set "test piece" which all bands in a particular section have to play. The piece is chosen to stretch the band, taking it and its individual players - particularly the principals - way outside their comfort zone. The complexity of the test piece reflects the section in which a band plays. Championship test pieces are generally extremely difficult, but less complex music is chosen for the lower sections. Some youth contests employ a test piece, the National Championship is one such contest. There is also a rather complicated system where points are awarded for participation in contests and results, and this process gives rise to the "World Rankings" of bands. As the name suggests, bands from all over the world are listed here. Click here to take a look at the current "World Rankings". 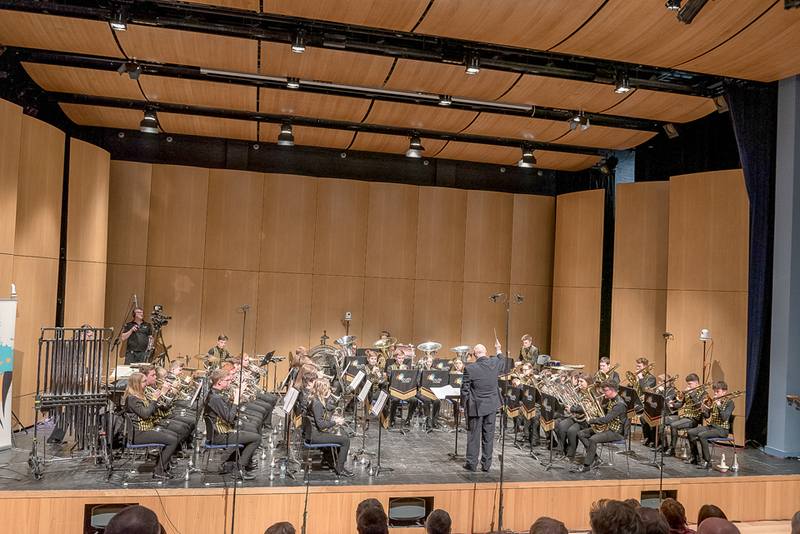 There are also many contests in the youth banding world, with many of them forming a youth section within an adult contest. One of the premier "youth only" contests is the National Youth Championship held in April each year. Youth Brass 2000 has won many contests over the years, and has held the title of National Champion Youth Band for a run of six wins in a row up to 2019! Winning this contest entitles the winning band to represent it's country at the European Youth Championships. Another is the National Youth Entertainment Championship held in Blackpool each year, where Youth Brass 2000 has held the Championship title in 2015 and 2016. This is a very difficult contest to win, as the band is awarded points for "Entertainment" value, as well as points for music. If you would like to know more about the "entertainment" side of this particular contest look no further than our gallery page "Blackpool 2016" to see what we mean!